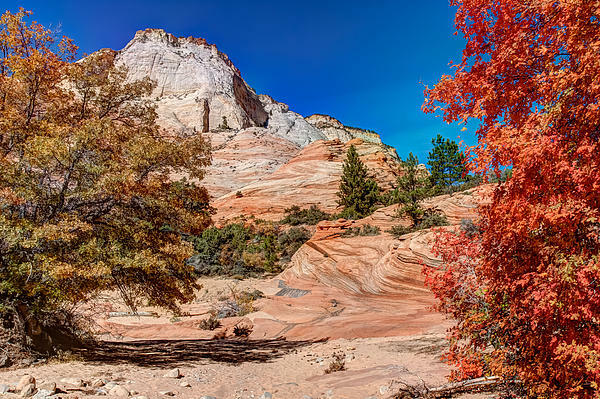 Zion at its best. Great colors. What a beautiful place and excellent composition! Follow you! Wow!!! 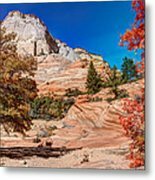 What an outstanding view of Zion with the fantastic bright colors! The blue sky contrasts beautifully with all the warm colors. The detail is delightful. I really like the tones in the swirl of the earth in the center of this image. The composition is so very [;easing to the eye! Thank you very much Kandy! Stunning image, love how the trees frame the sides and add to the grandure of the location. Nice bold colors as well. 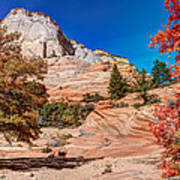 Colorful rock, greenery, Fall colors all are present in this image from Zion National Park. 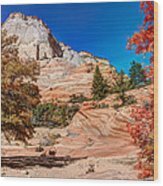 This image is featured in the Fine Art America Group "Wonders of Nature."